Tactical Backpacks are becoming the norm for many uses including; travel, hiking, hunting, students, emergency personnel, military, police force, adventurer, and many others. Their rise in popularity is contributed to features, size, looks, and practicality they have. Tactical backpacks have important features like; added compartments, MOLLE webbing, hydration bladders, durability, accessibility, and comfort. We have reviewed and selected the best tactical backpacks of 2018. The GORUCK GR1 Tactical Backpack is one of the most rugged, versatile, and feature loaded backpacks on the market today. The GR1 is a USA made backpack made to Armed Forces specs but with a civilian friendly design. The pack is a favorite among travelers, military personnel, law enforcement, hikers, emergency preppers, students, and of course GORUCK Challenge participants. 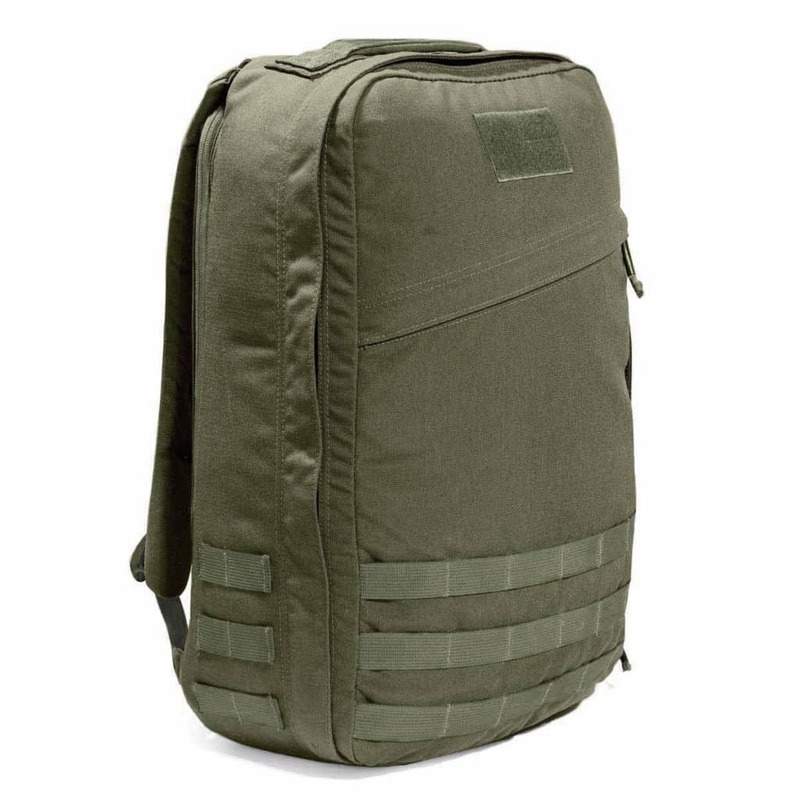 This pack was specifically built for the Special Forces and has been used in Baghdad and New York City. The Gr1 is loaded with features that really set this pack apart from some of the others. GORUCK takes pride in its workmanship and these packs are made to withstand even the most severe circumstances. 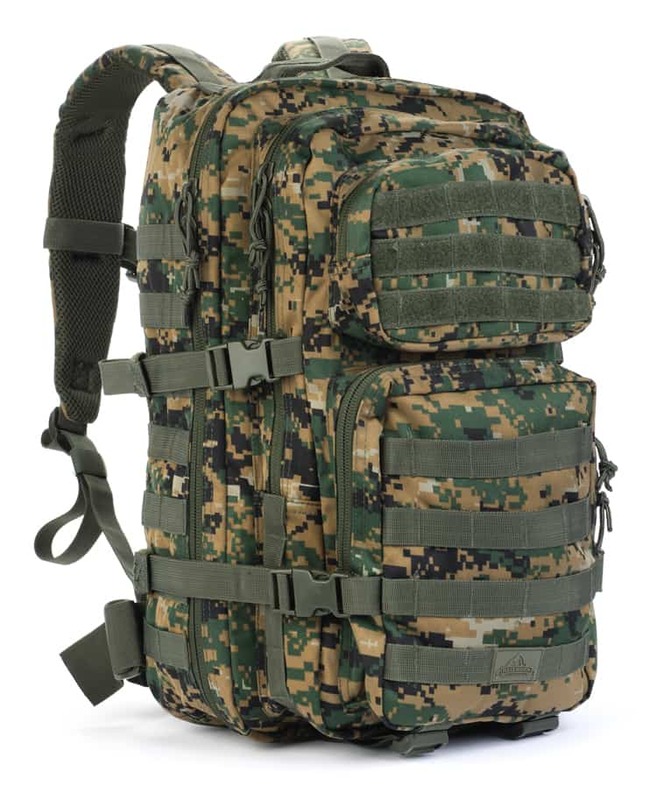 On the outside the pack might look plain or simple when compared to other tactical backpacks, but on the inside you can see that this is not a simple backpack. Among the Rush line, which is their flagship backpack line, the 72 ranks as one of our favorites. We also liked the 5.11 Tactical Rush 24. They both are very popular and have created quite the buzz with their fans. With a large stuff-it pocket and excellent internal organizational pockets it makes stowing your great easy. It also has strategic pockets for your different gear and helps keep it all organized. The pack is available in 7 different colors depending of your preference. Although the primary usage of tactical backpacks comes from law enforcement, medical personnel & military personnel, they are becoming more popular among the civilian world. According to outdoor site Gear Lobo, the need for a quality tactical backpack is rising among everybody from preppers to hikers. The 3V Outlaw Gear Sling Pack makes an excellent EDC or bug out bag. It is unique in that it is a sling style pack. The bag has 3 storage compartments with organizers, is compatible with hydration packs, and is made of durable 600D PVC nylon. They are only available to be purchased online, so the company is proud to offer a risk free 30 day unconditional guarantee, backed up by a lifetime warranty if customers are unhappy. The Mystery Ranch 3 Day Assault Pack is designed to be rugged, versatile, lightweight and have a high level of mobility. The Mystery Ranch 3 Day Assault Pack- Mystery Ranch says that his pack is designed to be the last word in assault packs. The 3 day assault pack features an innovative Y-shaped design that allows for quick and convenient access to all of your gear. The pack is designed with rows of MOLLE webbing for attaching accessories easily. Mystery Ranch added compression straps on the side to help make the pack less bulky. The Assault pack has compartments for and can accommodate up to 3 hydration bladders with still plenty of room for other gear items. The Condor 3 day assault pack is a heavy duty pack with 7 different compartments that can easily organize all the gear you could possibly want to carry. The Condor 3 Day Assault Pack serves as a great bug out bag. It is a heavy duty bag with plenty of storage capacity, these features make it a standout pack among other competing packs at a similar price point. This bag is also built for durability and comfort, and can fit most any body type. Since the pack is so large and can fit so much gear, they have included some important features to aid in your comfort when carrying a heavy load. The Condor Outdoor Inc brand is a leader in the tactical gear space, specializing in packs and other gear made for intense situations. Their 20 plus years of experience in the space shows in the design and functionality of their 3 Day Assault Pack. The 5.11 Tactical Rush 24 is the most popular tactical backpack that 5.11 offers. Its main purpose it to be a full sized day pack. You can fit everything you need for a 24 hour trip including food, water and accessories in this pack. The rush 24 is basically a smaller version of the 5.11 Tactical Rush 72. The Tactical Rush has been around for a while and has proven to be one of the best packs in the market right now. The durable and waterproof Rush 24 is a roomy full size day-pack that can be quickly turned into longer duration pack as needed. The pack is made out of the best material for the job. The main internal compartment is flexible and has dividers, the pack also features MOLLE webbing designed to help customize your pack. They have created an even better version of the original that has 4 expanding compartments for all your gear, without becoming bulky or overbearing. The 4 compartments can store up to 35 liters of storage, with zippers and organizers in the three larger compartments. The back panel can also hold up to a 2.5 L hydration bladder (not included). Hazard 4’s Evac series of sling packs is designed with durability and comfort in mind. The Plan-B sling pack is no exception. They have set out to reinvent the sling pack, making the best possible option if you are looking for a pack that can be worn on your back or chest depending on the situation. The strap is ergonomically designed to be worn from either the left or right shoulder with no gap on your back, making for greater comfort and less strain on your back. Click here for the lowest price on Amazon. The 5.11 RUSH Moab 10 pack is a single strap sling pack that allows easy front /back accessibility with plenty of storage space. This RUSH series is designed to be quick “grab and go” pack when you need it most. MOAB is an acronym for Mobile Operation Attachment Bag, and all of the MOAB packs are made with the ability to connect and carry them together if needed. This pack is more of a small to mid sized range bag, the idea being that it can be strapped onto your larger pack and in a scenario when you need to get out quick for only a 1-3 day use, you can grab this pack and go. When choosing the right tactical backpack for you, there are many things to consider. Price is a huge factor as these packs can range from $30-$300. You need to decide what your main purpose for the pack is and how often you will use it. There are many features to consider when buying a tactical backpack. MOLLE webbing is a feature that has the ability to add accessories to your pack making it able to carry more gear. Compression straps main purpose is to help compact your gear and pack once it is completely packed. Tactical backpacks can range in size from a daypack to a 3 day large pack. You want to make sure you can fit all of your necessary gear like a flashlight, first aid kit, or survival kit, in your pack for your adventure. Not all packs are made equal as far as durability goes. Some are made with high quality materials and construction. One big feature with a tactical backpack is the ability to organize and find your gear in a moments notice. Some packs have more organizational pockets than others. Some of these pockets include shade protectors or hydration bladder compartments. Other factors include color and if the pack is water proof. Whatever your preference you can’t go wrong with a tactical backpack. What is a MOLLE backpack? A MOLLE(Molly) backpack is a pack that features a webbing system allowing accessories to be added. Most tactical backpacks run a MOLLE system on their packs. What is a rucksack? A Rucksack is a word used interchangeably with backpack. Typically a rucksack will only have a main compartment where a backpack will have many different pockets. Essentially a rucksack is the same as a backpack. What is the best small tactical backpack? Some people want a tactical backpack but don’t need a ton of space. The best small tactical backpack that we recommend is the 5.11 Tactical Rush 24 backpack. This is a great daypack but has the capacity to hold everything you need. What is the best tactical sling backpack? Sling backpacks are becoming popular due to the simplicity and minimalist design. They fit snug to the user allowing for agile movements. The best one that we recommend is the Hazard 4 Evac Series Plan-B Sling.